A greenhouse is a wonderful addition to any garden. Here are 27 greenhouse ideas that can help you plan and build the perfect greenhouse for your yard or garden. 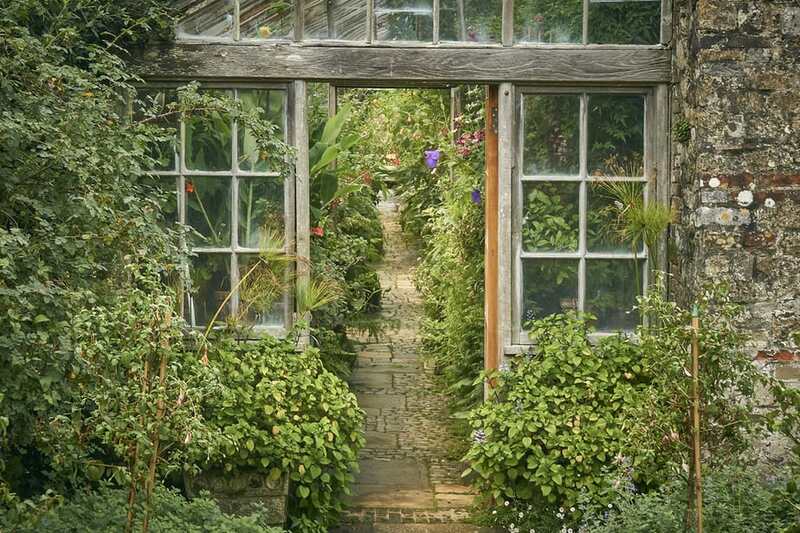 Just the image of a greenhouse brings to mind sophisticated organic gardens and English country gardens. 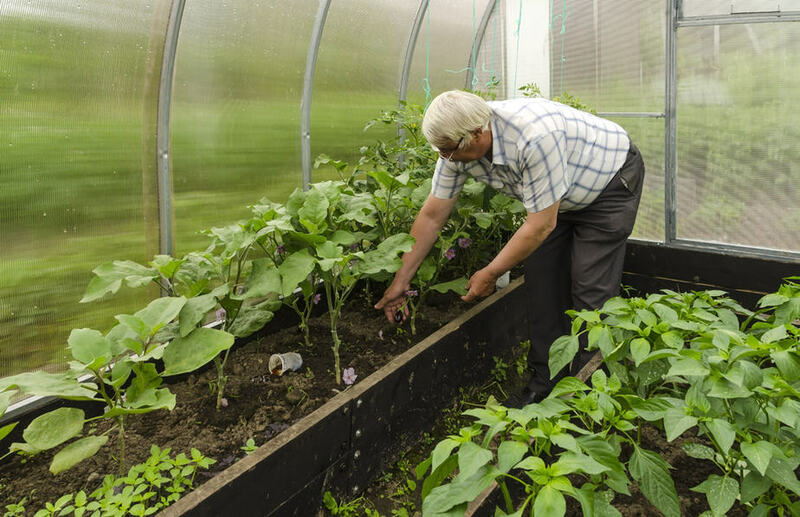 Benefits of a greenhouse include having a longer growing season, being able to plant more exotic plants, and having a safe warm pest-free area to start seeds. It can also be a winter escape that helps fight stress and things like SAD or seasonal affective disorder. 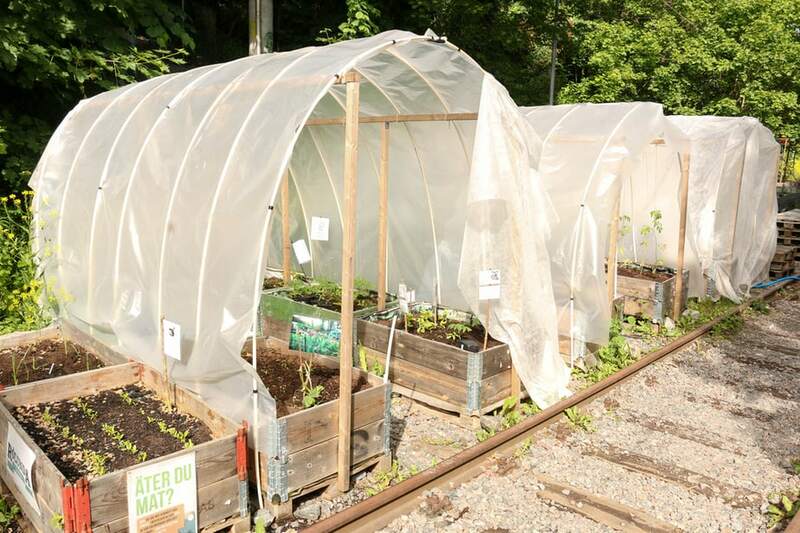 There a many kits available to make building a backyard greenhouse easier. There are also free greenhouse plans to build your own. You can use whatever materials you want. 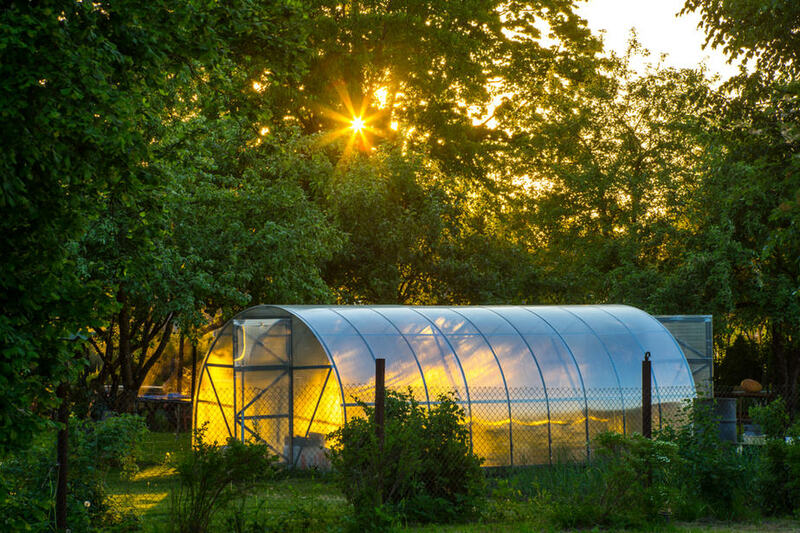 Common greenhouse materials include frames made of wood, aluminum, iron, and plastic. You can even attach a side of a greenhouse to an existing structure like your house, garage, or garden shed. For the clear covering you can use glass, any number of plastics, fiberglass, PVC, and acrylic. You want to let the sun in, but keep cold and pests out. If you want to make your greenhouse fancier or have a more rustic look, you can get creative and use recycled windows or antique doors and gates to add a custom look. You can also dress up the base or foundation with bricks or rocks for added charm. Here is a very nice greenhouse. The white really creates a sophisticated, country garden look. This appears to be made of painted wood or white vinyl with glass windows. Not all greenhouses need to be this fancy, but it sure is nice. 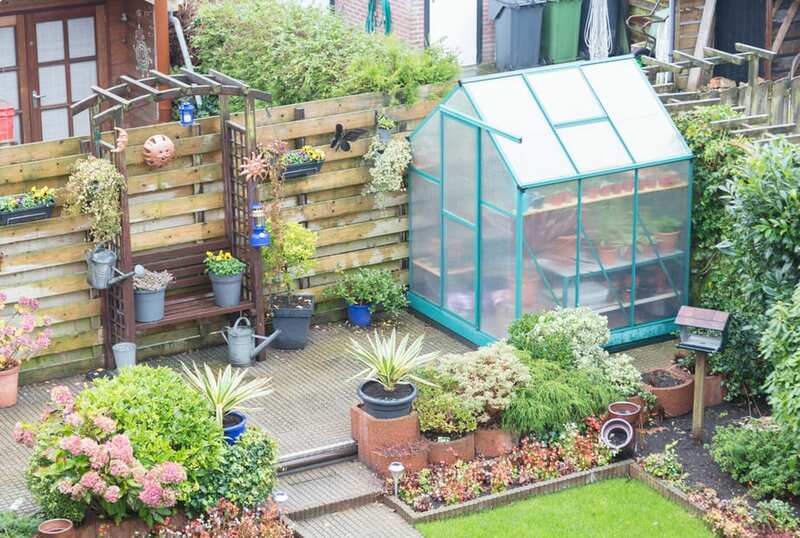 This lovely greenhouse has a brick base with a vinyl or metal frame and glass windows with skylights on the roof. This design gives you all of the beauty of white vinyl and glass with the strength of a brick foundation. 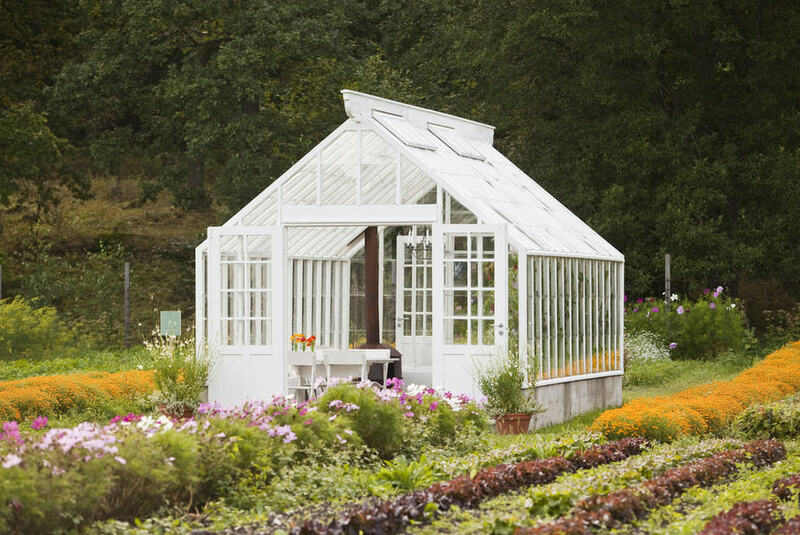 This greenhouse is made out of painted white wood and glass. The base is designed with stacked boards that resemble 2×6 boards (or even shiplap). The interior leaves plenty of room for a potting table with flowers in pots and tools stored underneath. The green-colored frame of this greenhouse offsets any garden. Whether you have it in a tropical setting pictured here or in your backyard, this is the perfect touch of style and color to make your garden really shine. This fancy greenhouse is framed with stained wood. It has a rock or cement foundation with steps, and the siding is glass with a roof that has skylights that open. It also features bamboo shades to control the amount of light that your plants receive. This small greenhouse is made with a plastic or metal green-colored frame, and the walls are made with some sort of plastic or acrylic. This looks like the perfect kit to build a small greenhouse for a backyard. Here is another small greenhouse that’s perfect for a backyard or patio. The colorful light green frame offset with the plastic walls and roof make the perfect cozy and warm space to grow your favorite plants. Here’s a larger structure with a brick foundation and a metal frame. The roof appears to be made out of glass panels and the siding is weathered acrylic or fiberglass. This is a long-lasting and large capacity greenhouse design for a larger space. Here is a beautiful dome-shaped kit that brings light to any backyard space. 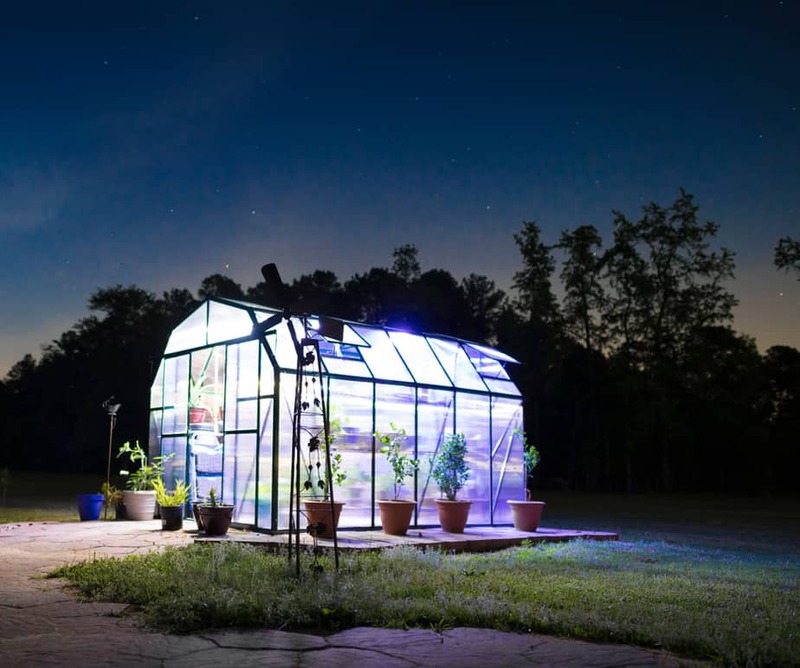 This greenhouse looks just as lovely at nighttime as it does during the day. 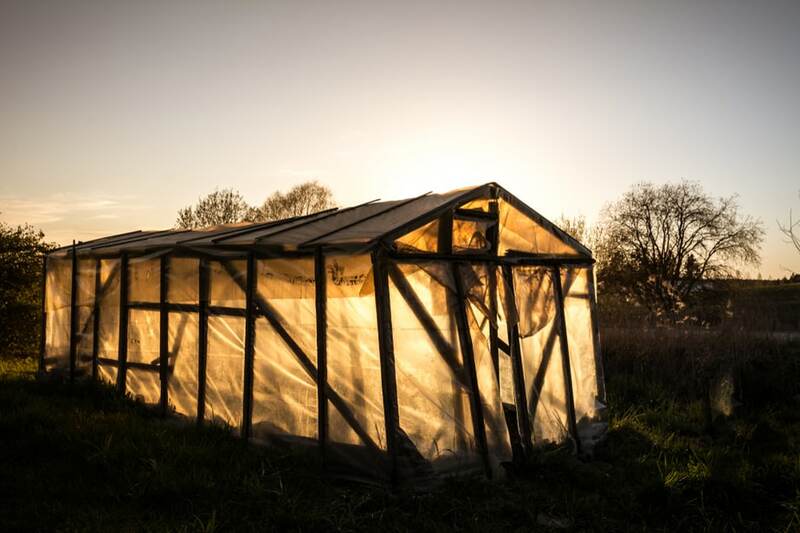 Whether you buy a kit or hire a contractor, someone is building your greenhouse. 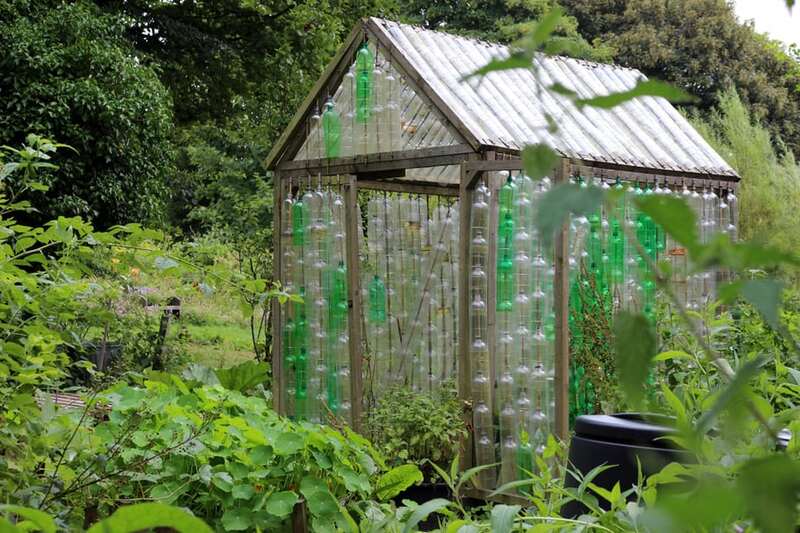 Many people build their own as it often saves money, and this recycled bottle greenhouse takes DIY to the next level. If you want to protect your raised garden beds, a great way to do it is to cover the area with plastic domes. This DIY project consists of a wooden frame with PVC pipe looped over it and then covered in plastic. It’s simple, inexpensive, and it gets the job done. Here is a simple kit that you can assemble on your own. It includes a frame with plastic siding and roofing. This is the perfect DIY greenhouse for starting seeds or raising flowers year-round. The simple DIY greenhouse consists of a black metal or plastic frame encased in plastic. This option is fast, simple, and inexpensive, while still allowing you to garden all year round. If you have some old boards laying around, you can always create a wooden frame. Cover the crudely built frame with plastic, and you have a greenhouse. This particular example probably looks better at night than it does during the day, but it gets the job done. This greenhouse consists of a wood frame with a pergola roof with hanging vines. The door includes frosted glass and the large interior has raised beds and walking trails. This is the perfect greenhouse for a large space. 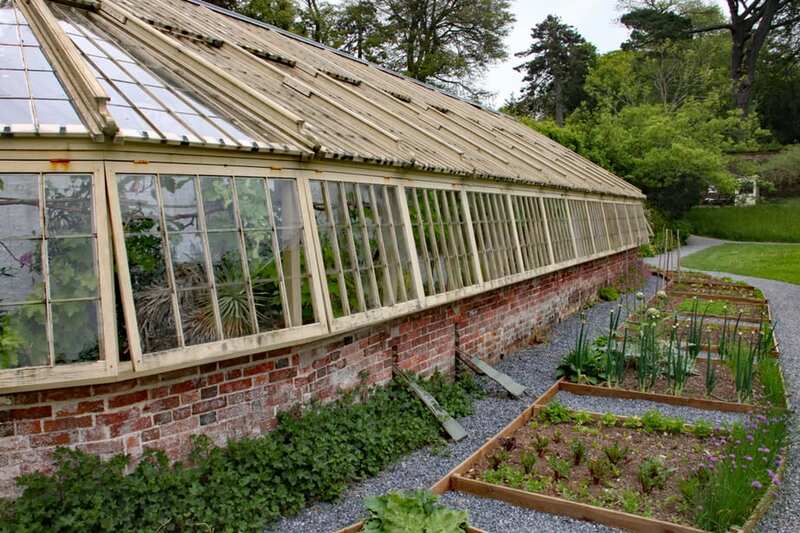 This beautiful, old, rustic greenhouse is made of stone, wood, and glass. The weathering only adds to its appeal. The large vines and mature greenery offset the beautiful stone floors in this awesome design. This design resembles a long shed made with a wooden frame covered with plastic. 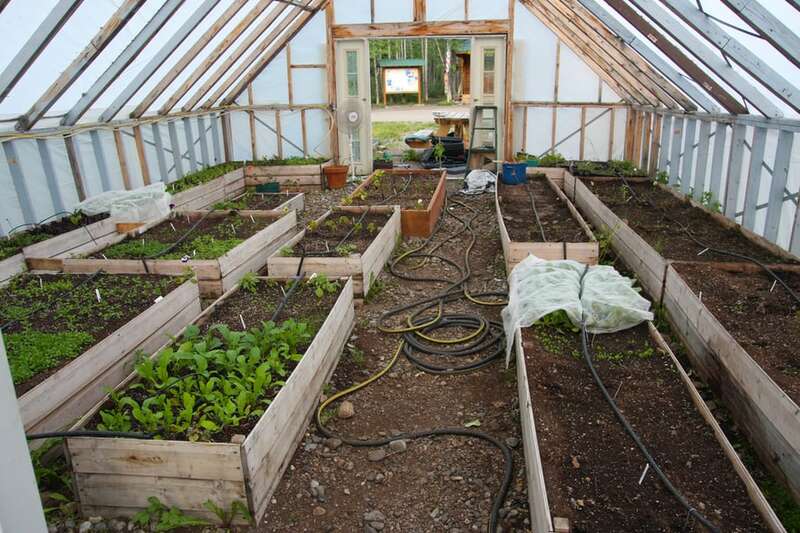 The interior has plenty of room for raised beds to grow all of your vegetables year-round. This is perfect for the organic gardener or small commercial operation. 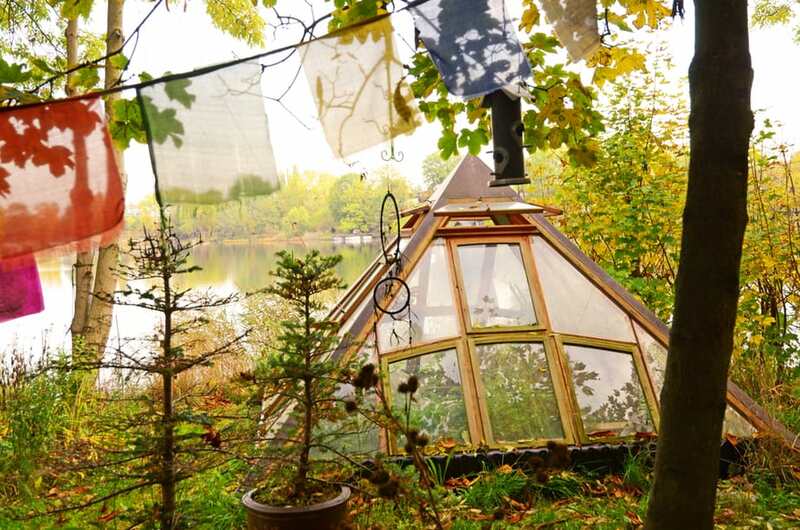 If you go to Denmark you just might come across a unique pyramid-shaped greenhouse. This design is small and unique, but it creates enough space to grow year-round. 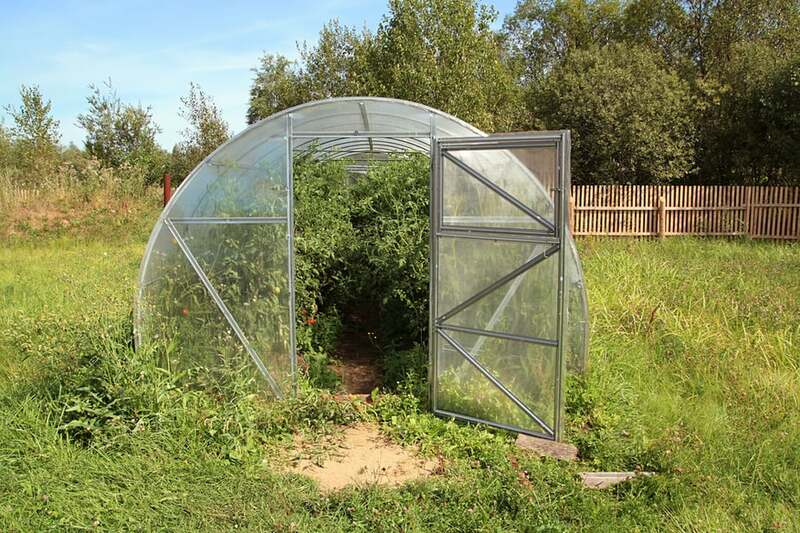 This large dome has enough space to give you green veggies all summer and winter long. The enclosed space also has the added benefits of keeping bugs from the delicate leaves of your produce. Growing herbs requires the right amount of sun and the least amount of pests possible. This small, round dome is the perfect greenhouse to grow fresh herbs for you, your family, and even the farmers market. From yurts to 3D printed housing, geodesic domes have never gone out of style. 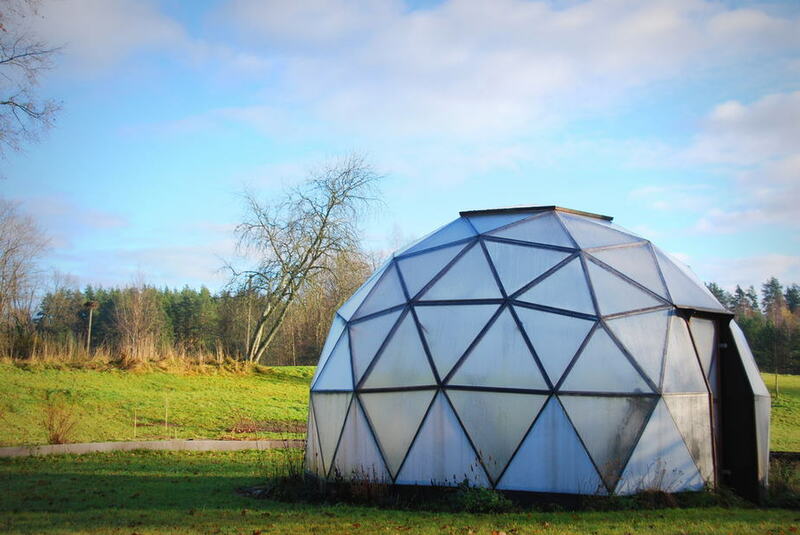 Here is a geodesic greenhouse that can meet all of your indoor and outdoor growing needs. Here is another oblong dome greenhouse with a simple frame and plastic covering. It’s the perfect size to meet all of your growing needs and it glows beautifully during the late evening sunset. 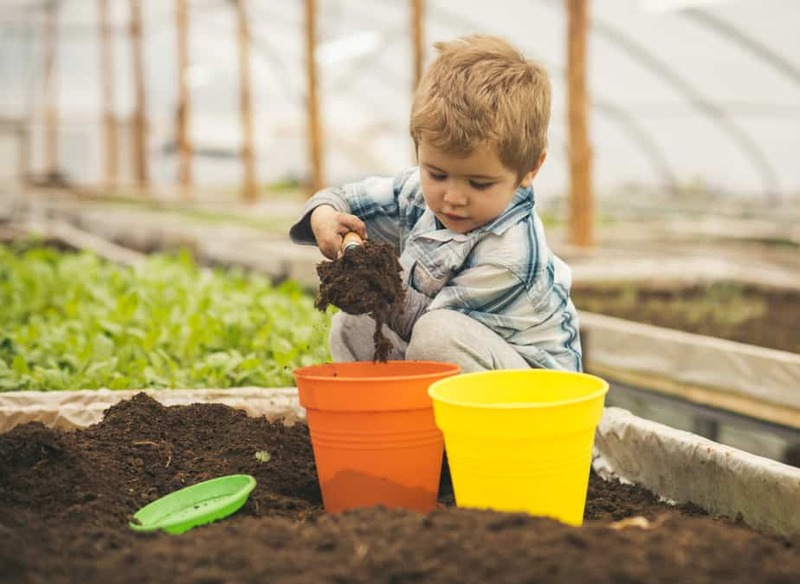 Things like greenhouses and raised beds can make gardening accessible to people of all ages and abilities. This year-round growing habitat can enable anyone to have a green thumb no matter what the weather is like. There is no age limit when it comes to nurturing and appreciating the earth and our bodies. 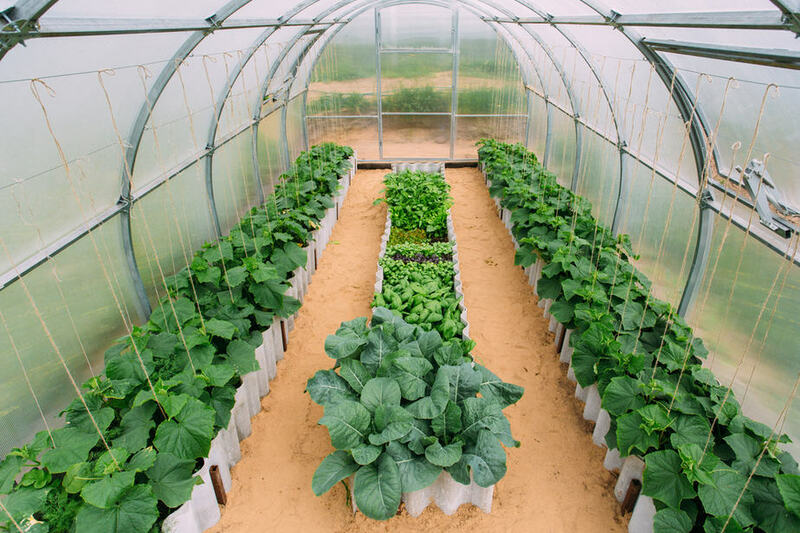 With a large, raised-bed greenhouse like this, there is no reason not to start gardening as early as possible. This giant dome is the perfect growing atmosphere for large commercial crops. Year-round flowers and vegetables are available with operations like this. This may not be for everyone’s yard, but it gives an idea of what’s possible. Here is another large operation that is best left for the professionals. Views of this giant greenhouse conglomeration create a stunning insight into the collaboration of man and nature. 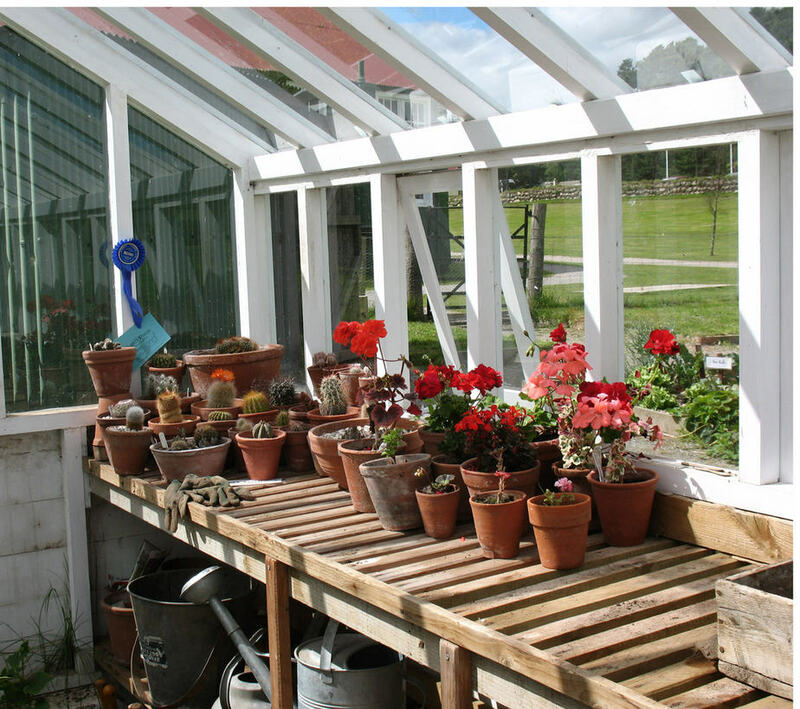 This beautiful antique greenhouse has mature plants and plenty of room for those young seedlings. 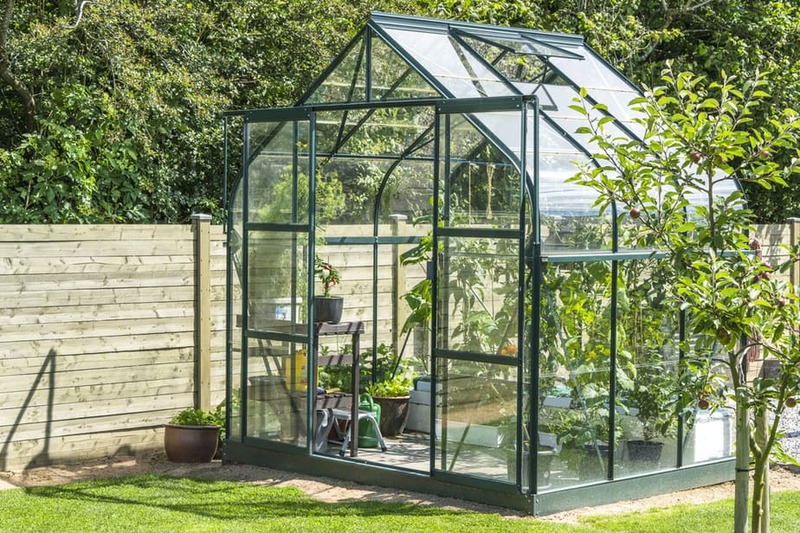 Constructed of quality materials, this greenhouse has stood the test of time. After many years, it’s still beautiful and functional. The only thing that would make it look better is outdoor lighting (speaking of that, check out our rope light ideas). 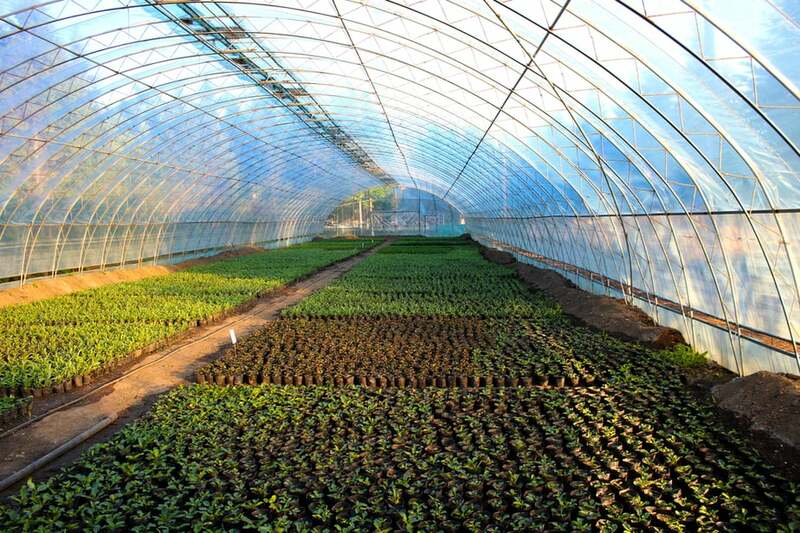 Greenhouses have been in existence for about as long as humans have been gardening. In 30 AD, Roman physicians grew cucumbers in a house created for growing plants. They called it a specularium. French botanists used greenhouses to grow medicinal plants in Holland in the 1800s. Organic farmers, large farms, and hobbyists use greenhouses to grow plants and flowers year round. A greenhouse is perfect for sprouting seeds before planting season or for growing succulents during the colder months. Exotic plants and flowers that require a warmer climate are perfect for greenhouse planting, as well. Pineapples, for example, can grow year-round in warm climates or in areas where they’re put in a greenhouse during the colder months. 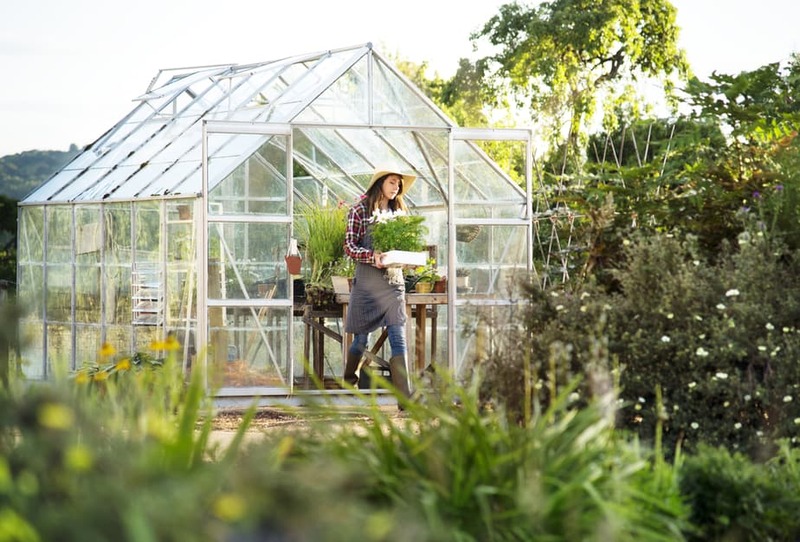 Having a greenhouse makes your yard or garden look great and can give you organic herbs and vegetables throughout the year We hope that you found some useful greenhouse ideas in this article! Happy gardening!